To see how you can benefit from savings please see below. For information on how to become a Member Benefits Partner, please call 613-591-0116. As a leader in senior living for more than 55 years, Revera is proud to be part of The Royal Canadian Legion’s Member Benefits Package. Every day, we have the honour of being part of the lives of veterans and other seniors who have chosen to call a Revera community home. Whether it is in a retirement residence or long-term care home, we help people live their lives to the fullest. Celebrating veterans is a true highlight of our calendars in November, as all of our communities host or participate in Remembrance Day commemoration events. This year will be especially meaningful, as it is our first as an official partner in The Royal Canadian Legion’s Poppy Campaign. Additionally, Revera communities will be conducting fundraisers to support the important work of The Royal Canadian Legion. For the first time ever, Revera is offering an exclusive benefit to Legion members, family members and friends of 10 per cent off the suite rate at any of our retirement communities across Canada. 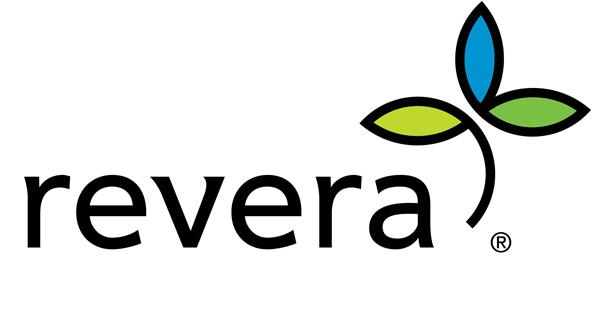 Through our portfolio of partnerships, Revera serves more than 50,000 seniors in Canada, the US and the UK. Canadian owned and operated, our vision is to celebrate the ageless spirit of people through service and innovation. Believing that “Ageism is getting old”, Revera challenges the stereotypes associated with ageism through our social initiative, Age is More. Revera is also working to improve the aging experience through our Innovators in Aging Program and intends to invest up to $20 million over the next five years supporting new products and services that will improve the lives of seniors. To learn more visit ReveraLiving.com, Facebook.com/ReveraInc or follow us on Twitter @Revera Inc.
*Applies to first-time residents. Certain conditions apply. Visit www.reveraliving.com/legion-t-c for full details. Medipac Travel Insurance provides Legion members with extensive benefits and comprehensive travel insurance protection for trips outside Canada as well as out-of-province travel within Canada. Legion members receive travel insurance for an unlimited number of trips up to 17 days, to age 64, for a premium of $75. Medipac also offers Legion members long term travel insurance at preferential rates. Medipac is proud to be working together with The Royal Canadian Legion! Medipac has been protecting members of Canadian groups and associations since 1982. Travel insurance is our only business! MedipacAssist™ is our medical emergency lifeline, providing you with instant access to our medical professionals, day and night, anywhere in the world. The Royal Canadian Legion delegated Medipac with the design of an exclusive member benefit providing travel insurance to Legion members across Canada. The program contains extensive benefits and comprehensive travel insurance protection for an unlimited number of trips of 17 days each, outside Canada. It also provides coverage for an additional 60 days for your out-of-province travel, within Canada. Medipac is honoured to have been chosen by The Royal Canadian Legion as a Member Benefits Partner. Your support is very important. As your participation grows we will share our success with your branch. At Arbor Memorial, we are a trusted member of the Veteran community. Many Arbor Memorial locations have unique options just for veterans and their families. For example, you may want to pay tribute to your years of service through pictures or engraved epitaphs in the memorialization marking your final resting place. Or you may choose to personalize your casket or urn with a symbol, to represent your military experience. Burial? Cremation? Making these final decisions is one of the heart wrenching choices your loved ones must make. By pre-planning, you can learn about the various ecological, social, and financial benefits of each method and make an informed choice that reflects your values. And your family can be spared these decisions. For more information on planning funeral and cemetery arrangements, plus a 10% discount offer, call 1-877-301-8066 or visit our website today. *Excluding crypts, offered at 5% discount when purchased in advance. HearingLife is the largest hearing healthcare network throughout Canada totaling over 300 clinics nationwide and growing daily in key geographies. The HearingLife network currently consists of 22 different brands that Legion Members will identify with no matter where they reside! All HearingLife network experts share the same mission, which is to provide expert hearing health services and education to all Canadians. Hearing loss is one of the most prevalent health issues facing older Canadians, and also one that is misunderstood and often times ignored. Did you know? Stats Canada says, “Hearing loss strikes 1 in 5 Canadians and 47% of those individuals are over the age of 60.” The silent impact of hearing loss far exceeds the condition itself and research continues to show the link between an untreated hearing loss and certain age-related conditions including cognitive decline. Our Clinical team, comprised of Audiologists and Hearing Instrument Specialists are pleased to provide all Legion Members and Canadians over 60 years with a free baseline hearing test. No referrals are required and a thorough hearing health exam only takes 60 minutes. Early detection may not prevent hearing loss, but it can help reduce some of its negative effects and resolve existing issues. HearingLife Professionals offer expert hearing health exams, hearing aids, personal communication devices and protective options. Our team works with the world’s leading manufacturers. That means Legion members will have unparalleled access to world class technology and clinical expertise with the only truly national and comprehensive hearing healthcare company in Canada. As a member of The Royal Canadian Legion, you and the members of your household are eligible to receive exclusive benefits towards the cost of hearing aids and hearing assistive devices outlined below. We hope you will take advantage of this partnership and all the benefits HearingLife offers, including our Expert Care Guarantee™, in-clinic financing, and AIR MILES® reward miles. Legion members will receive an additional 10% off the regular price or limited time promotional price of select hearing aids. They receive up to 1,000 AIR MILES® Reward Miles with the purchase of select hearing aids, five years of complimentary batteries and a three-year product warranty. HearingLife has detailed many of their offers on page 5 of the September/October issue of Legion Magazine. Members can register for benefits at www.HearingLifeAdvantage.com/Legion or call 1-888-463-5773 to begin accessing your benefits today! For over 25 years, IRIS has been a leader in Canadian vision care. What started as a small group of Optometrists in Quebec has grown into a large branded group of eyecare professionals working in over 150 locations across Canada. From Victoria, British Columbia to Havre-Saint-Pierre on the Gulf of St. Lawrence, all IRIS professionals share the same mission, to improve the vision of Canadians. Healthy eyes and clear vision are among our most valuable assets supporting learning, physical function and independence. At IRIS we believe our responsibility is to help our patients make informed decisions about how to protect this asset and achieve the best possible vision throughout their lifetime. An annual eye examination with an Optometrist is essential to maintain eye health. To an IRIS Doctor of Optometry, better vision is about more than your prescription. It’s about your history, your activities, your lifestyle, your personality and your budget. That is why we developed the IRIS Profile, a personalized profile to help determine your unique vision requirements. IRIS offers lenses, frames, contact lenses and eye health supplements from the world’s leading manufacturers. By understanding your needs fully, we can provide you with eye care products and services to best suit you. As a member of The Royal Canadian Legion, you and the members of your household are eligible for exclusive benefits towards the cost of prescription glasses, sunglasses, contact lenses, and vision correction surgery at our Ophthalmology Centre in Laval, Quebec. We hope you will take advantage of this program and all the benefits IRIS offers, including our No-Matter-What-Guarantee, interest-free financing, and AIR MILES reward miles. Learn more at IRIS.ca or simply Register Now to begin accessing your benefits today. Your world of possibilities is waiting – set off on a cruise with every day bringing a new destination or try something new with a small group tour offering complete cultural immersion. Enjoy CWT Vacation Club specials and exclusive offers on all-inclusive vacations and tours including room upgrades, ship board credits, two-for-one excursions and bonus RBC Rewards® points. Membership has its benefits, and as a member of The Royal Canadian Legion, you’re entitled to FREE membership in our CWT Vacation Club. Join your fellow Royal Canadian Legion members on our annual Legion Caribbean cruise, and watch for details coming soon on tours to the 75th Anniversary of D-Day in June 2019. Search for your next dream destination on the CWT Vacation Club Legion website. Book your next vacation package, cruise, tour, flight, hotel and car rental at your convenience 24/7. To enjoy full service vacation planning at any of our 155 offices, call us today at 1-800 CARLSON (227-5766) or visit a location near you to speak with one of our knowledgeable CWT Travel Advisors who will be happy to help you. Sign-up for your complimentary CWT Vacation Club membership today at www.cwtvacationclub.ca/legion and receive a BONUS travel certificate valued up to $100* off your next vacation package, cruise or coach tour with one of our partners. SimplyConnect is a friendly, affordable and easy-to-use wireless service. It is focused on providing mobile technology to help more and more Canadians with what’s most important: staying connected and engaged while maintaining happy and healthy lives after retirement. Mobile devices like internet-enabled smartphones and tablets offer all sorts of technology-enabled lifestyle advantages. They feature easy-to-use interfaces and apps that make things like getting updates from loved ones, accessing bank accounts or addressing health care needs easier than ever before. These devices are a great solution for older adults looking to stay connected, keep learning, easily access services, stay healthy and avoid isolation. SimplyConnect plans start from $16.20/month with a wide selection of cell phones available starting from $0. It also offers easy pairings between phones and plans with reliable national network coverage, as well as other wireless services such as Wireless Home Phone and Tablet plans. SimplyConnect’s Canada-Wide plans are without any surprises, and for any troubleshooting or inquiries customers may have, their Customer Service is accessible seven days a week at convenient hours via phone, email or live chat. With a 30-day money back guarantee and access to usage online with My Account, SimplyConnect is all about building the kind of seamless and long-term customer relationships that older adults value. As a member of The Royal Canadian Legion you can take advantage of one of our mobile plans at a discounted price: 15% OFF smartphone monthly plan fees or 10% OFF talk & text monthly plan fees. For more information call one of SimplyConnect’s dedicated live agents at 1-844-483-2285 or visit www.simplyconnect.ca/legion. For many people with mobility issues, routine tasks such as bathing can become challenging. Slippery surfaces, high step-ins, and lack of support bars can make taking a bath risky. Broken bones from falls can forever change a person’s ability to live independently. At Canadian Safe Step Walk—In Tub Co., we understand that our clients need a walk-in tub that will help them remain safe, comfortable and independent. The addition of a walk-in tub can also extend the ability to live independently by an average of five years. Our tubs are loaded with safety features including low step-ins, anti-slip surfaces, safety grab bars and wider doors. As part of Canadian Safe Step Walk-In Tub Co.’s initiative to give back, we are proud to partner with the Royal Canadian Legion’s Member Benefits Package and to help our veterans through various programs. Through our Safe Step Cares program, one such recipient is Cpl. Franck Dupéré, from the 4th Battalion of the Royal 22nd, who served in Afghanistan in 2011. He was wounded by a suicide bomber and now lives with approximately 200 pieces of shrapnel inside his body as well as numerous other injuries. However, his experience has not changed his personality; he continues to be the same fun-loving guy he always was. When Safe Step Walk-In Tub Co., heard his story we decided to provide Cpl. Dupéré with a state-of-the-art hydrotherapeutic walk-in tub, which greatly helped improve his quality of life. We were proud to be able to give back to someone who gave so much. Canadian Safe Step Walk-In Tub Co., is a 100% Canadian-owned business supplying the highest quality North American made walk-in tubs and showers. We have the most certifications and the best warranty in the industry. In our own small way, we also proudly serve our fellow Canadians. Exclusive benefit for Legion Members $2000 Off, in appreciation we will donate $225 to the Dominion Command for every walk-in tub sold and installed to Legion members when mentioning this advertisement. Call today, toll-free 1-888-864-8701. With every successful card application and subsequent purchases from subscribers, MBNA Canada supports Legion programs. Apply online now Royal Canadian Legion MBNA or call 1-877-428-6060 and QUOTE PRIORITY CODE CQZY01.